Located minutes from downtown Wilmington and only three miles from the boat ramps, our Wilmington storage facility is perfectly situated for all your storage needs. 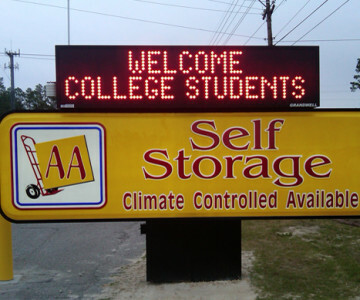 Whether you’re interested in RV and boat storage, climate-controlled storage, small business storage or standard storage, the AA Self Storage location in Wilmington has the unit for you. Contact us or drop by our location on Eastwood Road today for details about our Wilmington storage units. Click here to get directions to our Wilmington location.